March 8th is International Womens Day! Every year thousands of events are held throughout the world to inspire and celebrate female achievements. A global web of rich and diverse activity connects women from all around the world ranging from political rallies, business conferences, government activities and networking events through to local women's craft markets, theatric performances, fashion parades and more. 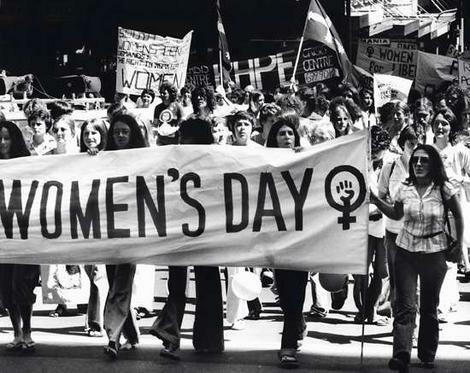 For this information and more about the history of Women's Day visit their website here! At Skindulgence we are incredibly proud of the Canadian female athletes that participated at the 2010 Winter Olympics in our very own Vancouver, British Columbia. Women have brought home the majority of the gold medals for Canada including two-person bobsled, hockey, ice dancing, ski cross, snowboard cross and 1,000 meter speed skating, to name a few. It is amazing to see the ever-increasing gender equity in sports and we look forward to watching the progression of the games in years to come. Here's to our ground-breaking female athletes! At Skindulgence we have established ourselves as leaders in non-invasive age management solutions and we are always on the look out for NEW technology and products that will help you live well and age well! The Galvanic Technology has been around for decades in the Spa industry, especially used in Europe, but the in spa machines were cumbersome to use; however, with the new hand held device the power of Galvanic is amazing and the results on the skin are dramatic, non-invasive and easy to use! We at Skindulgence are proud to introduce The Galvanic Spa Treatment to our clients! You can do it as an add on to super charge the results of your treatment or buy the machine & use it at home for cumulative results!! The Galvanic Spa Treatment does not replace your facials or daily skincare regimen, but was created to further enhance the penetration and effectiveness of your products and treatments by up to 70%! The patented hand held device uses low level galvanic (electric) current to transport key nutrients to the skin to dramatically smooth the wrinkles & lift the skin. It also improves the process of cleaning the skin, improves hydration, circulation & radiance! The galvanic only works with specially charged positive & negative products that were created to be used with the device. We will have the handheld device in the spa by the end of March so call to book your introductory offer today! Seeing is believing.. Our Spa Director Tazeem had half of her face treated last week & even though she has good skin, this is what she experienced: " I noticed a difference in the depth of my smile lines around my mouth! I also noticed my skin on the treated side was considerably less oily!! Bonus! I am really looking forward to using the machine at home"
We are certain you will be thrilled with the results! Try it today and see the amazing results for yourself! I am quite stunned at the results I have seen so far. When you purchase your first & second GliSODin products! When you bring in any 2 products from another skincare line that are at least half full , we will donate them on your behalf to the Womens Shelter, you will receive 10% OFF when you purchase up to two skincare products of your choice! Bring in 3 or more products and receive 15% OFF when you purchase up to three skincare products of your choice! Have you had your daily dose of Vitamin C today? 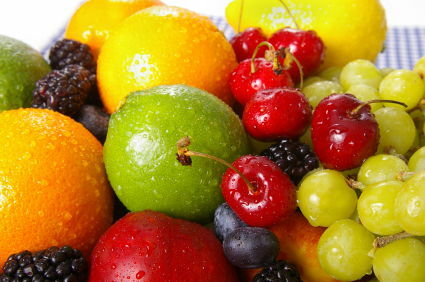 Vitamin C is an essential vitamin that our bodies don't produce on its own so we all need to supplement it internally. Externally for our skin, GM Collin has created the Sea "C" Spa Clinical Facial Treatment. This decadent facial helps to brighten and clarify the skin while reducing fine lines and externally hydrating and brightening. Vitamin C internally and externally is a great antioxidant that cleanses toxins from the cells/skin to promote healthy cell renewal to "beautify" the skin. Antioxidants come in 2 varieties: primary and secondary. Most of us think of an antioxidant as an antioxidant, but there is a huge difference between them. A secondary antioxidant removes a free radical and is used up in the process. A primary antioxidant is not used up in the reaction to remove free radicals and can remove millions more than a secondary antioxidant! SOD is a primary antioxidant that can be found in the GliSODin Skin Nutrients products that are new to Skindulgence! These internal supplements melt the years off your face and make you feel fantastic thanks to the many proven health benefits. Each formula has 500mg of SOD (Their patented super-antioxidant!) and is catered to your skins different needs. Prevention is the key and is less expensive then surgery. Don't hesitate to take advantage of our current promotions on both the Vitamin C and the GliSODin. 2 FREE vials of GM Collins Direct Delivery Vitamin C Serum! When you purchase your first GliSODin Product and a BONUS $10 OFF your next box! Forget fake lashes, get your own real ones... With Revitalash liquid conditioner. We at Skindulgence are thrilled to be one of the first spas to be carrying Revitalash in the Tri-Cities. You will have the lashes you have always dreamed of, without the fuss of glue or the hassle of having them "refilled". With this product, over a 6-8 week period, when used daily you will have fuller, longer, healthier lashes - Guaranteed! No matter how brittle, short, thin or sparse your lashes may be. The product was created by an Opthamologist as a gift for his wife when she developed breast cancer. As is in most cases, cancer patients loose a lot of hair, eyelashes and even their brows. To this end, the company made a commitment to support breast cancer research by donating a portion of all proceeds of the product sales. Revitalash contains no parabens, hormones or salicylates like other similar products on the market. The container looks like a mascara tube and the applicator is an ultra thin brush. Apply the product daily, close to the base of the lashline, top and bottom. Remember, consistency is key for optimum results. After you have reached the desired fullness, to maintain the results, use 2-3 times per week. Each tube will last between 6-8 months. The company has also developed 2 other products: one for eyebrow hair, and one for thinning scalp hair (These 2 will be available at Skindulgence by special order only). We will have this fabulous product in the spa by mid April, but wait... If you pre-pay now, we will give you a $20 certificate for any minimum 1 hour service of your choice! (Not valid with other certificates or promotions) So what do you have to lose? Try it with your money back guaranteed. Sensiderms New and Improved formula and Tea Tree Deodorant! GM Collin is pleased to announce that their formula of the popular cleanser for the most sensitive skin, Sensiderm Cleansing Milk, is now fragrance-free and paraben-free. This improved formula also has a smoother, creamier texture that is easier to manipulate, a more pleasant aroma and an improved tolerance by the skin and eyes. Finish up your skin routine with the rest of the GM Collin Sensiderm line; Sensiderm Treating Lotion and Sensiderm Cream / Gel. For sensitive underarms, Australian Bodycare has released their new Tea Tree Deodorant format. They have increased the size to 65mL and is now in a unique tube format with a rollerball end for easy use anytime. It is alcohol and aluminum free and contains meadowfoam seed oil which makes it especially suitable for sensitive skin and can be used directly after hair removal. The antiseptic Tea Tree Oil provides natural protection agaist odor causing bacteria, protects and soothes your skin.